So much for those stories that they were going to lock him up and throw away the keys. 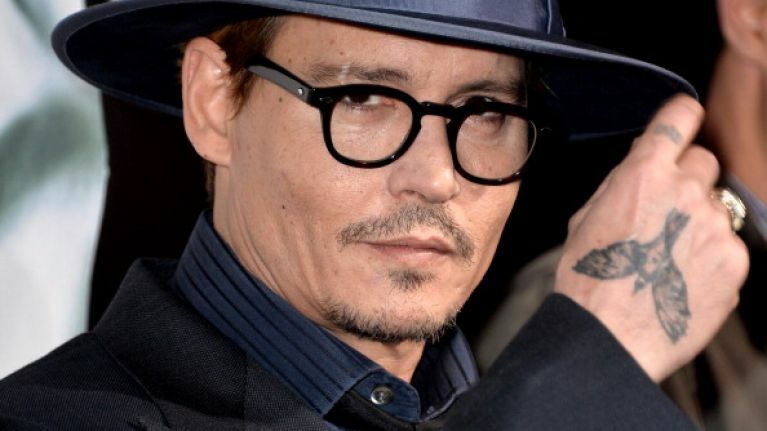 Johnny Depp has been making friends on the set of the new Pirates Of The Caribbean film, and they come in the shape of some Australian law enforcement officials. 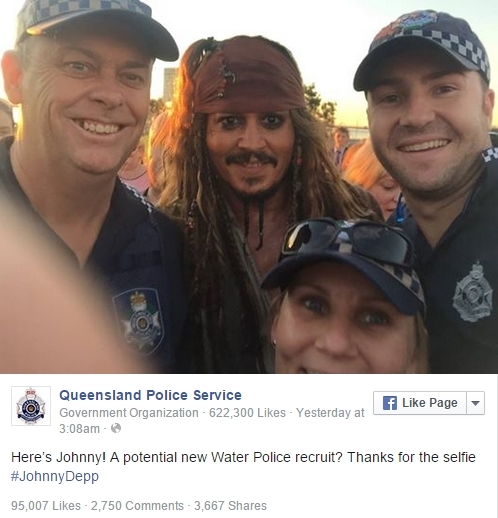 The actor posed in full Jack Sparrow gear with the Queensland Police Service despite recently getting into hot water over bringing his two pet dogs - Pistol and Boo - into the country illegally. It seems that everything is ok once again between outlaw and authority.